When I first go to the Raleigh area in 2007 I immediately began exploring the area, looking for restaurants and bars that would remind me of what I left in San Francisco. More often than not, I was usually disappointed but one of the first restaurants that felt like the City to me was Humble Pie! I’m not exactly sure how long Humble Pie has been around but it was a popular destination before the Warehouse District got bizzy and popular. Before the Pit, Jose and Sons, Crank Arm Brewery and so on, Humble Pie was the only reason to head to this hood outside of some dancing. 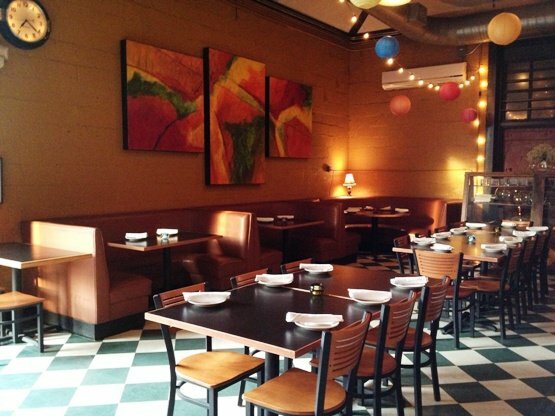 Humble Pie works mainly for two main reasons: its tasty small plates and its urban chic interior. And it does a lot of things really well, read on about this Raleigh classic! 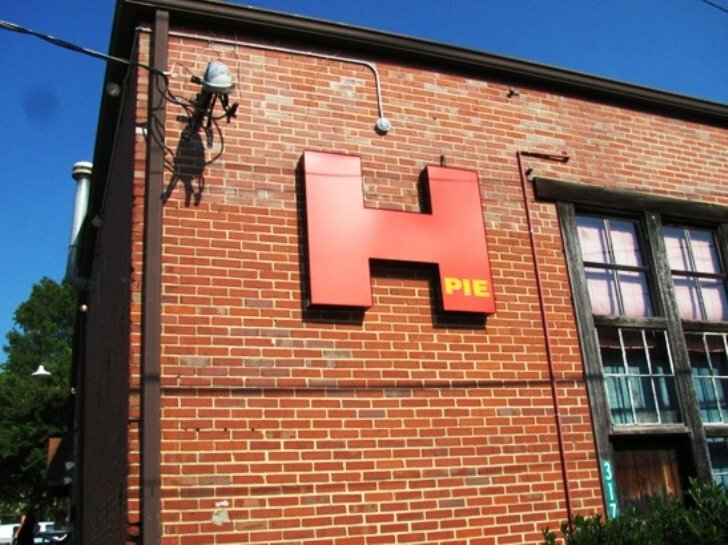 From the outside, Humble Pie looks a bit bland: bricked exterior, large and beige wood patio along with it’s signature H sign out front as the only hint of what lies inside. A heavy oak door pulls open to reveal its very cool interior! High ceilings with rough hewn beams, black and white tiled floor, and colorful paper lanterns make for a very hip, urban feel. They’ve got a nice bar in the back along with a private room. And that bland patio with tiki bar outside? Rocks it out when you’ve got nice weather and brunch on your mind. 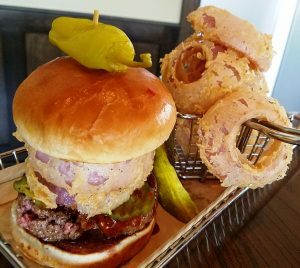 So Humble Pie delivers lots of different ways to enjoy their eats: at the bar, on the patio or in their dining room. The menu is diverse providing a bunch of time-tested small plates for you to nosh on as a group or put together as a meal. 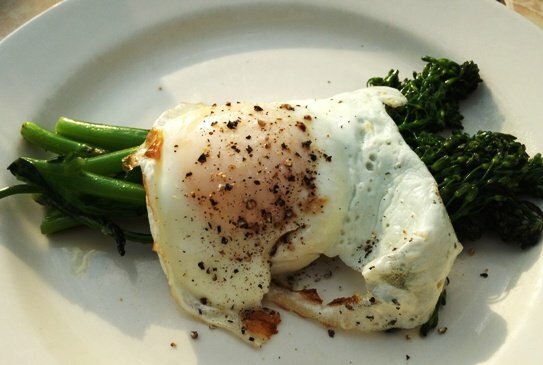 The crisp sauteed green beans make for a great starter. I’ve enjoyed their braised short rib tostadas and spinach tart, two solid crunchy savory dishes. 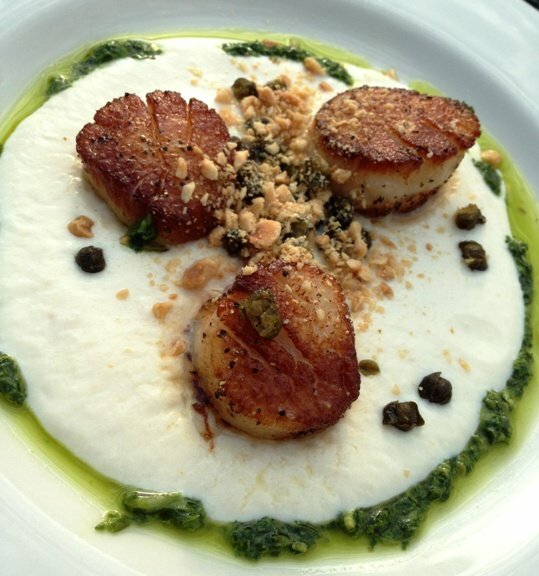 For my last visit I had some beautiful seared scallops in pesto sauce with fried capers along with some broccolini with an egg on top. 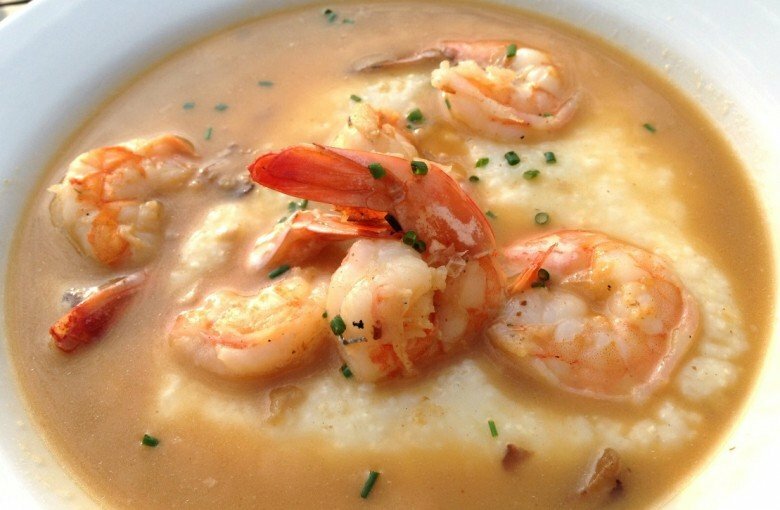 Two very different dishes but both well-prepared with nuanced flavors and textures, yum! For brunch, Humble Pie also does an even better job! 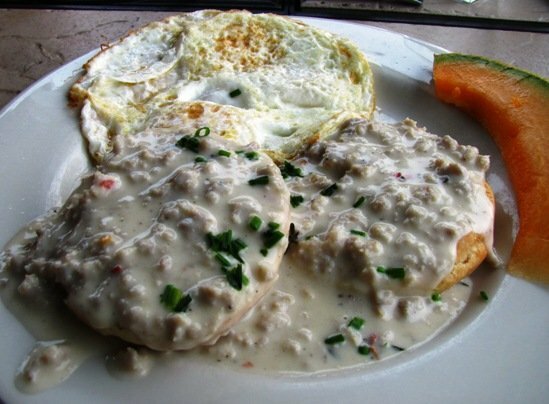 Try their classic biscuits and gravy, you can’t get much more Southern than that. Or their shrimp and grits in the broth of gods (as they say on their menu). Toss in a mimosa and their lovely patio and you’ll be in seventh heaven on a Sunday afternoon. Just make sure to stop in AFTER noon time so you can enjoy an adult bevvy. And service at Humble Pie is usually very professional. The staff seems pretty stable making for consistently good service which is appreciated. So this Raleigh institution, Humble Pie is still delivering some great eats and a great atmosphere. Its diversity of dishes, cool environs and solid service means you typically can’t go wrong here. But it’s not cheap, you will spend some money at the Pie. But you know what? I’m ok with the price since Humble Pie executes so well across the board, bon appetit! 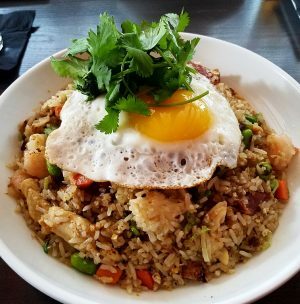 Media: Fantastic Asian-Fusion Fare and Decor at the new CO in Raleigh! 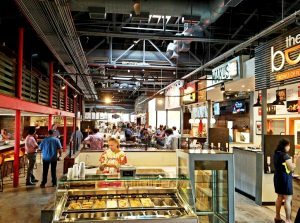 Hops Burger Bar, Chapel Hill – Raising the Hamburger Bar on Franklin Street!